Rev. John E. Simmons is the current Chair of the Foundation's Board of Directors. John also serves as the Associate Executive Minister of Missions and Administration for the West Virginia Baptist Convention. John is also the Treasurer and CFO for the Convention. His passion is missions and works to get churches and individuals involved in mission through: prayer, personal involvement and financial support. He holds a Masters of Divinity from The Southern Baptist Theological Seminary and a Bachelor of Science in Business Administration from the University of Louisville. Prior to joining the regional staff, he served as a missionary with the Thailand Lahu Baptist Convention through International Ministries. Rev. 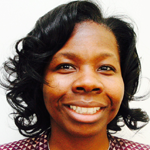 Jacquline L. Saxon is the Vice Chair of the Foundation's Board of Directors. 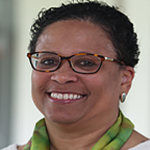 Jacquline also serves as the Vice President for Student Affairs and Vocation for Austin Presbyterian Theological Seminary and has held the position since May of 2009. Prior to assuming her current post, she served as the Associate Pastor of University Baptist Church in Austin, Texas for eight years. Jackie earned a Bachelor of Business Administration with an emphasis in Finance and Banking from Howard University in Washington, DC, in 1984 and holds the Master of Divinity degree from Austin Presbyterian Theological Seminary that she earned in 2000. She is an ordained American Baptist pastor and is member of Church of the Savior, an American Baptist Church in Cedar Park, Texas. Marcus serves as the Board Treasurer for the Foundation. Marcus has been in sales and business development for the last 10 years representing large and small corporations, and providing excellent customer service and satisfaction. He currently works as a Business Banker for Citizens Bank covering the North East parts of Pennsylvania. Marcus is also very involved in the Spanish Community in the Lehigh Valley as a bi-lingual speaker. He believes that integrity and going the extra mile for a customer pays off in the long run. Nichole is the Foundation's Board Secretary. A Norfolk State University graduate who focused on Journalism and Public Relations, Nichole is now a senior communications and public relations executive. With nearly 20-years of experience as a leader and a change agent, she has done publicity for USA Today and The Harlem Globetrotters just to name a few. Nichole's areas of expertise include national and international media relations, public relations, crisis and corporate communication, brand management, community and government relations. Rev. 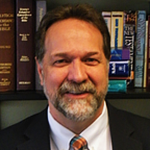 Dr. Lee B. Spitzer serves as the General Secretary of the American Baptist Churches USA since June 2017. 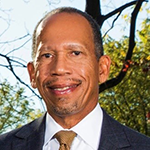 Prior to his new call, Dr. Spitzer served as Executive Minister and Senior Regional Pastor of the American Baptist Churches of New Jersey for 14 years. His Master of Divinity and Doctor of Ministry degrees are from Gordon-Conwell Theological Seminary, and in 2016, he was awarded a PhD degree in Theology from Vrije Universiteit Amsterdam and the International Baptist Theological Study Centre. 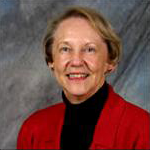 Dr. Spitzer has written numerous scholarly articles and books. Dr. Spitzer is married to Lois and they have two children, Joshua and Larisa. An ordained American Baptist minister, Haggray has deep roots in the life of American Baptist Churches USA (ABCUSA) and the greater Baptist family. He is a member of ABCUSA's Adaptive Challenge Team and chairman of the Baptist World Alliance's Commission on Social and Environmental Justice. 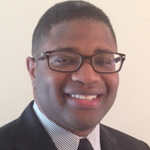 Haggray also serves as co-chairman of the National Planning Team of New Baptist Covenant, a movement focused on uniting Baptists in service and Christian love to promote justice and overcome racial, theological and geographic boundaries. Haggray holds a Doctor of Ministry degree from Wesley Theological Seminary in Washington, D.C., a Master of Divinity degree from Yale Divinity School, New Haven, CT and a Bachelor of Arts degree in Philosophy from the University of Virginia, Charlottesville. Alderson-Broaddus College, Philippi, W.V., awarded Haggray an honorary Doctor of Divinity degree in 2005. Rev. Sharon T. Koh is the Executive Director of American Baptist International Ministries. A native of Los Angeles, CA, Rev. Koh is a graduate of the Westmont College, Santa Barbara, CA (B.Sc.) and Fuller Theological Seminary, Pasadena, California (M.Div., M.A.T.). During her eleven-year pastoral ministry, Sharon served as the Mission Pastor at Evergreen Baptist Church of Los Angeles. In 2016 she became the Executive Director of American Baptist International Ministries with oversight of American Baptist mission work in more than 70 countries. Marie has been the Regional Executive Minister of the American Baptist Churches of Wisconsin since August 2014. She joined the Board of the American Baptisy Foundation in 2018 and became the president of ABF's Multi-Region Corporation, which was established to create a dynamic partnership between the Foundation and more than 30 American Baptist regions across the country. Marie has been shaped through her work experiences as a seminary admissions director as well as a pastor/ministerial staff member at three America Baptist churches in the San Francisco Bay area. She has been a cross-cultural competency trainer and executive in the retail industry. Through her lifetime of straddling the intersections of multiple cultures, she has used her skills in bridge-building, gracious and collaborative leadership, hospitality, communications, and holistic administration. She earned a Bachelor of Science degree in business management at Binghamton University (N.Y.), and Master of Divinity and Doctor of Ministry degrees at American Baptist Seminary of the West (Berkeley, Calif.). She enjoys sharing her skills as a poet, photographer, and pianist. Steve brings a wide range of regional experiences to the Board of the American Baptist Foundation. Before becoming the Executive Minister of the American Baptist Churches of the Rocky Mountains in 2008, he served the American Baptist Churches of the Central Region as Associate Executive Minister with duties in finance, administration and directing its interim ministry program. His passion for regional ministry grew out of his 18 years in pastoral positions in Kansas, Illinois, and Indiana. Steve has led pastoral discovery trips to such countries as Myanmar, Bulgaria, Bolivia, Lebanon, the Philippines and Zambia. He also has led or participated in mission work trips to India, Nicaragua, and Mexico. Steve earned his Master of Divinity degree from Southern Baptist Theological Seminary in 1987 and his Doctor of Ministry degree from Northern Baptist Theological Seminary in 1994. He has been an adjunct professor at Ottawa University (Kansas) and at American Baptist Seminary of the West and has been on boards for organizations like the Colorado Council of Churches, Habitat for Humanity in Franklin County (Kansas) and the Chamber of Commerce in Ottawa. Rev. Dr. Jesse M. Brown is the 27th Pastor of the historic First Baptist Church of Chicago(FBCC). He received his Master of Divinity and Doctor of Ministry degrees from Northern Baptist Theological Seminary. For 18 years Rev. Dr. Brown was a Finance and Insurance Consultant for General Motors Acceptance Corporation and pastored FBCC. Rev. Dr. Brown started his service to the American Baptist Foundation Board in 2013. Debra has been a long-term ABF board member while also serving on the board of the American Baptist Churches of Indiana and Kentucky. During her tenure with the Foundation she has been the Board's Vice President and Interim President as well as the chair of the grant committee where she has led in the growth and development of the Palmer Grant Program. She celebrates how that program, which funds ministries regionally, nationally, and internationally from a permanent endowment, touches numerous lives in tribute to Virginia and Gordon Palmer, Jr. Debra is a 1987 graduate of Indiana University. While there pursuing a computer science degree, she worked for H&R Block. During that time God showed her how much she liked tax preparation, and she felt called to switch to an accounting degree. She earned her CPA in 1993 and now owns her own accounting firm. Rev. William A. Carlsen ("Bill") served as Interim Director of the Foundation since July of 2010. From 2011-2016 Bill served as Chair of the Foundation Board. 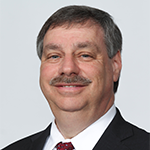 Bill is a native of New York State and has been very active in American Baptist missions, serving pastorates in Williamstown, Massachusetts and Rome New York and as the Executive Minister for the ABC of New York State for sixteen years. Additionally, he was Field Counselor for World Mission Support for The American Baptist Churches USA for 15 years. Bill graduated from Houghton College with majors in Philosophy and Psychology and holds a Master of Divinity from Gordon Conwell Theological Seminary in Massachusetts. 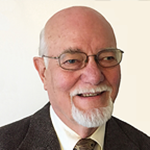 He is currently President of the Board of Springbrook, Treasurer of the Interim Ministry Program of ABC/USA and is a member of the Board and adjunct faculty for Keuka College. As American Baptist Home Mission Societies' (ABHMS) Deputy Executive Director, treasurer and chief financial officer, Michaele Birdsall, CPA, seeks to sustain the organization's foundation of integrity and to communicate the story of home mission throughout the U.S. mainland and Puerto Rico. In addition, she strives to inspire individuals and churches to become involved in mission in a number of ways, including financially. She takes pride in ABHMS' commitment to socially responsible investing, including stakeholder interactions that deepen corporations' accountability and commitment through meaningful engagement and dialogue. Seeking to shape a global community built on justice and sustainability, Birdsall leads ABHMS' efforts to transform the corporate world by addressing systemic practices related to environmental stewardship, consumer protection, human rights and diversity issues. "Donors who are confident that their gifts will be managed responsibly and ethically," she says, "are much more inclined to give regularly and liberally. Patti joined the ABF board in 2013 when she became the Associate Executive Director for Operations for American Baptist International Ministries (IM). 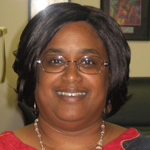 Prior to joining IM she was the Director of Operations for Mission Central, a ministry of the United Methodist Church. A graduate of the Pennsylvania State University, Patti served in the U.S. Air Force and then the Pennsylvania Air National Guard where she attained the rank of Lieutenant Colonel. In that capacity she held the positions of Chief Administrative Officer, Director of Human Resources, and Operations Manager and was the first female Chief of Staff in Pennsylvania Air National Guard history. In 2008 Patti entered state government as the Chief Administrative Officer for the Pennsylvania House of Representatives in Harrisburg, Pennsylvania. 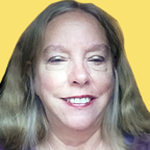 In her present IM position Patti serves on its finance and investment committees, Foundation board, and the facility ownership and management council. Rev. Dr. Norman G. Bullock is an ordained minister, non-profit executive, and public intellectual with a rich experience in urban ministry contexts. 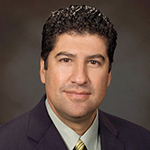 Dr. Bullock possesses an undergraduate degree from UCLA in Sociology and Economics with a concentration in Business Administration. He holds the Master of Divinity degree from Claremont School of Theology in Social Ethics & Urban Ministry, with a concentration in Non-Profit Leadership, an MBA degree with a concentration in Entrepreneurship from Walden University and a Doctor of Ministry degree from Fuller Theological Seminary in Leadership in the Urban Context. With his gifts in management and fundraising David joined the Foundation's Board of Directors in 2014. As an active layman he had served as president of the national organization of American Baptist Men in the 1990s and on the General Board of the American Baptist Churches USA in the early 2000s. David has worked as a volunteer in the area of development with many American Baptist organizations including a seminary, local congregations, and International Ministries. He has often encouraged donors to support their favorite ministries by incorporating the various financial instruments provided by the Foundation. David received a Bachelor of Science degree in mechanical engineering from Rapid City college in 1974. Lianne Wright has been an active member of First Baptist Church, Columbus, Indiana, since 1995. She has served as church treasurer and on the church council for 16 years. Music ministry, children's programs, and teaching adults, particularly in the area of personal finance, have been areas of ministry. Currently Lianne is helping to organize First Baptist's resource guide for seniors who are working to "make decisions by choice, not by crisis". Lianne holds an accounting degree from Iowa State University and worked in public accounting and financial institutions during her early career. Tax and nonprofits were areas of emphasis. Her work experience has translated well as she has served as treasurer and finance chair for her church and various nonprofit boards. Sarah was born into First Baptist of Washington DC where her parents met in the early 1950's. She was baptized when she was 10 and has called the Lord her savior ever since. Sarah is currently a member of the Diaconate and a member of the choir at FBC of Washington. Sarah has supported many of the Church activities either with her own labor and funds and currently works for the Federal Government in budget and contracting. Vince joined the Board of the American Baptist Foundation in 2018, soon after he began his work as Chief Development Officer (CDO) with the American Baptist Home Mission Societies (ABHMS). As CDO, he is responsible for planning and implementing strategies to cultivate donors and secure financial support for ABHMS. Previous to this position Vince had been a consultant in Senior Major Gifts for the United Lutheran Seminary (Philadelphia, Pa.), the Senior Director of Major Gifts and Planned Giving for Overseas Council (Indianapolis, Ind. and West Chester, Pa.)-which provides assistance to 130 partner institutions worldwide-and Vice President of Advancement for United Church Homes, Incorporated (Marion, Ohio). 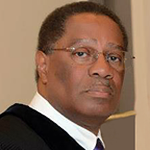 His career has also included development positions for non-profit and educational institutions in Washington, D.C. as well as in Ambler and East Stroudsburg, Pa. Having earned a doctor of jurisprudence degree in 1983 at the University of Detroit Mercy School of Law (Detroit, Mich.), Vince was in private practice as an attorney until 1992. 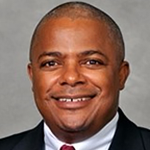 Ken Hines is a First Vice President and has over 20 years of experience providing financial advice and services throughout the United States. 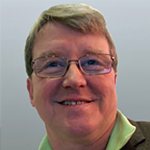 Ken's concentration is in the open architecture design of customized investment solutions to address individual financial goals. A primary focus of Ken's practice is individual retirement planning for corporate retirees. Ken holds the prestigious CIMA certification which is an advanced education program developed by the Wharton School of Business as well as that of Wealth Management Advisor (WMA). 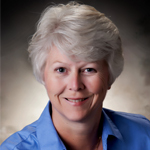 Anne has served as President of Loring Consulting Company since 2001; Vice President for Business Management and CFO, Ottawa University, 1992-2001; 2006-2008; IBM Corporation, 1965-1991. She is currently active with various charitable, educational and religious organizations. David brings vast investment experience to the Foundation in his position as the director of investments for the American Baptist Home Mission Societies (ABHMS) Common Investment Fund. He is proud of his involvement with socially responsible investing issues in conjunction with the Interfaith Center on Corporate Responsibility (ICCR). ABHMS is a founding member of ICCR, a nonprofit organization that influences corporations by advocating against practices and investments involving tobacco, liquor, gambling, militarism, discrimination, abuse, and exploitation. Having earned a BA from Washington and Lee University in 1974 and an MBA in finance from Loyola University of Maryland in 1978.